I've been posting about the end of Games for Windows Live since early September last year and been raging about sales for games that still use it. Though there are a lot of sites following this, I was pretty concerned about those few games that I have that utilize GFWL. 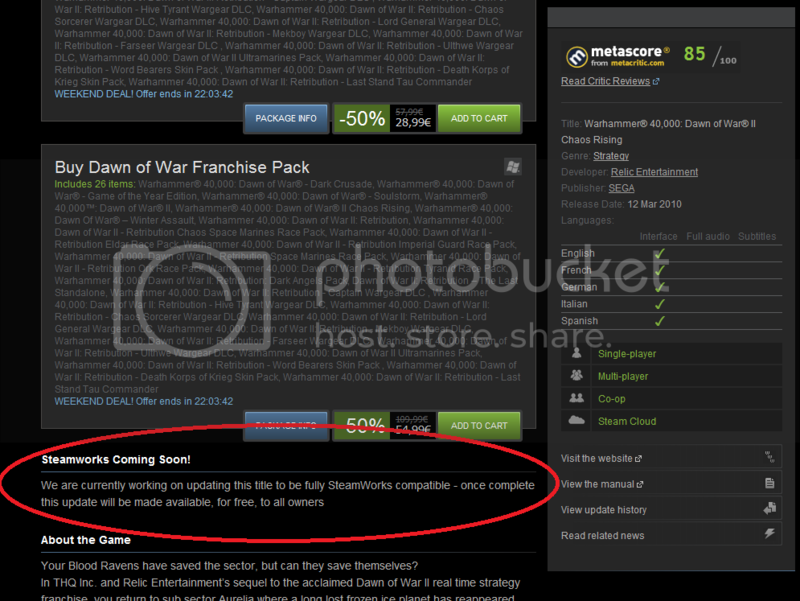 One of the games I was really concerned about is Warhammer 40K Dawn of War II. I like this game a lot, but haven't played it because of the exit for GFWL and no word from SEGA about any support for this old title.